A walk through of Legoland. 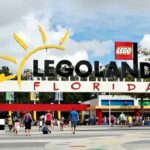 Just 45 minutes from Orlando and downtown Tampa, LEGOLAND Florida rests along the shores of Lake Eloise in the city of Winter Haven. Here guests can enjoy 10 easy-to-navigate and highly-themed zones that include pink-knuckle roller coasters, Miniland USA, the Imagination Zone and LEGO City where youngsters can learn how to drive by freely navigating their own boats and LEGO cars. The all-new LEGOLAND Water Park is a „park within a park“ and provides splish-splashin‘ fun for the whole family. Main attractions include the Build-A-Raft River where guests can build their own LEGO raft and float down the 1,000-foot lazy river or play for hours at the Joker Soaker water playground. Other attractions include the LEGO Wave Pool, five slippery-fast water slides and the DUPLO® Splash Safari, a toddler-haven with perfectly-sized slides and a zero-depth wading pool.